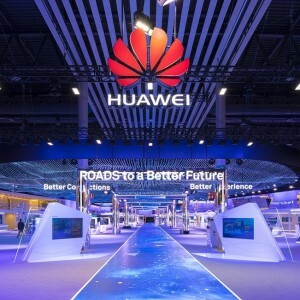 Inspur Electronics is marginally behind Huawei in strongest growth providers in data center hardware and software spending. According to Synergy Research, Huawei and Inspur Electronics are the strongest growth providers in data center hardware and software spending at 45.9 and 42.9 respectively as Gartner reports. Global spending on data hardware and software spending reached USD 150 billion in 2018, an 17% YOY. This growth is attributed to a larger demand for public cloud services and server provisioning which drives up the average selling price of enterprise servers. Public cloud infrastructure spending increased the most (+30%), accounting for 1/3 of the total revenue. Enterprise data center infrastructure spending increased by 13% which was driven by private cloud or cloud-enabled-infrastructure growth (+23%) which accounts for slightly more than 1/3 of the total revenue. Lastly, servers, storage, networking, virtualization software, and the like account for 96% of the data infrastructure market. ODMs have the largest public cloud market share followed by Dell EMC, Cisco, HPE, and Huawei. Dell EMC, Cisco, HPE are also included in the top four market leaders in the private cloud infrastructure and traditional non-cloud infrastructure market. Microsoft ranks second and first as market leaders for private cloud infrastructure and traditional non-cloud infrastructure respectively. Dell EMC, Cisco, and Microsoft dominate in revenues their respective market segments: server and storage, network, and server operating systems and virtualized application markets. Other leading suppliers include Lenovo, Huawei, HPE, VMware, IBM, Inspur, and NetApp. Huawei’s expenditure on semiconductors has grown significantly from 2013 to 2018 (4.9 USD billion to USD 21.13 billion respectively). 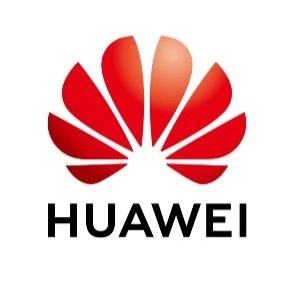 Furthermore, Huawei pledged to “spend USD 2 billion to improve our software engineering processes" over the next five years, according to CBR Online. Huawei marginally beat Inspur Electronics in 2017 and 2018 in revenues and market share. However, Inspur surpassed Huawei in server vendor shipments. Inspur also had the highest growth rate out of all the companies listed at 24.6 in 2017. According to IDC, the emergence of IoT will contribute a great portion to worldwide ICT spending. In addition, “all growth in traditional tech spending will be driven by just four platforms: cloud, mobile, social, and big data/analytics,” according to IDC. Due to the trade war with the United States, China’s policies are pushing for self-reliance. The trade clash is pushing China to “prioritize domestic R&D innovation and accelerate developments in key areas, such as core chips and software,” according to Charlie Dai, Forrester’s principal analyst for enterprise architecture, in an interview with ZDNet. However, as the tech gap rapidly narrows between China and the United States, it's likely Huawei will emerge as the leader in tech spending. The Chinese telecommunications company is already ranked fifth in most global R&D spending on EU Industrial R&D Scoreboard. Annie CHEN Analyst at EqualOcean who specializes in retail and real estate sectors.